It was as Matt Smith calls it, "his sliding doors moment". The FA Cup has a habit of producing life-changing stories. Ronnie Radford, Mickey Thomas, Roy Essandoh. And, Matt Smith - who will spearhead QPR's attempts to beat Watford in the fifth round on Friday night - joined them in 2013. Just 18 months into his first professional contract at Oldham, the jury was out on Smith - a 6ft 6in target man, signed from non-league Solihull Moors on a free transfer. The handshake for the deal was completed in a Frankie & Benny's next to Smith's university, where he was in the final year of a business management degree. Here, Oldham had a player with bags of potential but one that was rough around the edges. With his contract running down, his career as a professional was hanging in the balance. "Oldham fans will have been the first to tell you, I was a work in progress," Smith admits to Sky Sports. Then, Oldham drew Liverpool in the FA Cup fourth round. After those 90 minutes, life changed for Smith. Liverpool defenders Martin Skrtel and Sebastian Coates weren't ready for what the striker had in store for them at Boundary Park. Smith - uncompromising and relentless - scored twice as Brendan Rodgers' Liverpool, with Luis Suarez, Raheem Sterling and Steven Gerrard in the side, were dumped out 3-2 by the League One strugglers. It was the day a former Manchester University striker outscored Suarez. The FA Cup at it's magical best. "The only thing I can remember was him shivering ahead of kick-off," Smith recalls about the now Barcelona striker. "We only had three stands erected at the ground, so maybe the wind chill was affecting him!" After seeing off Suarez and co, Smith then repeated his FA Cup heroics in the fifth-round, scoring a last-minute equaliser to take Everton to a replay. He took his tally to four goals against Merseyside opposition that season when netting an eventual consolation as Oldham's cup run ended in the return fixture at Goodison Park. Buoyed by a new found confidence in his game, a move to Leeds United transpired at the end of that season and Smith - via Bristol City, Fulham and now QPR - is, arguably, the most rampant target man in the Sky Bet Championship with his career going from strength-to-strength. "That 90 minutes against Liverpool not only changed my career but also my life," he recalls. "Those are the moments you live for as in terms of ups and downs there are many more downs. You have to savour those moments. It was an outstanding achievement for the club. "Ultimately that game breathed a new lease of confidence in me. I played well against Everton and then went onto be League One Player of the Month. It was the catalyst for my move to Leeds. From a personal and professional stand-point my life changed. From looking over my shoulder, I then kicked onto a new stratosphere in terms of my football career." Having been released by Cheltenham Town in 2007, Smith's journey to the second tier in English football has been rapid and fuelled by an unrelenting desire to improve. His approach and performances on the field could be defined as old-school. Get the ball into him in dangerous areas, he'll scrap for it. Provide him with the right ammunition, he'll finish it. How does Smith feel about managing to carve out a career in the game despite his unusual football upbringing via university and non-league rather than an academy structure? "You do become a bit desensitised from it all and when you look back, yeah it might be remarkable, but I've got no intentions of settling for where I am now," he said. "I want to progress. I feel like I can. I'm 29 but I've got no pace to lose! "A lot of target men peak in their latter years. My style of play is a dying breed hopefully I can still be useful in years to come." QPR will be making use of him on Friday. He's a man in hot form, scoring four in his last three games. The clash under lights in west London on Friday with Watford is being talked about in some QPR circles as the club's biggest game since their play-off final against Derby in 2014. Many will roll their eyes at that comment, but this is a fan base that has become sick of the 'tea-bag syndrome' - not being in the cup for long. Smith helped the Rs to reach the last-16 of this competition for the first time in 22 years by beating Portsmouth in a replay at Loftus Road. It's been a wretched run of FA Cup misery that even included a penalty shootout defeat against Vauxhall Motors - of Unibond League fame - in 2002. 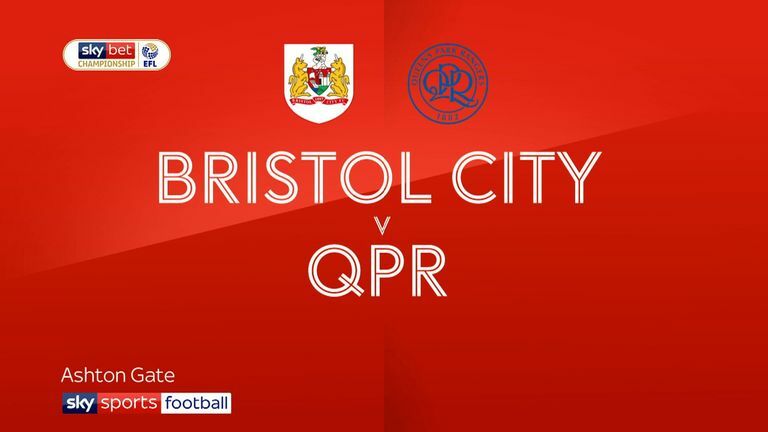 With their league season fizzling out under Steve McClaren - whose team have plummeted from play-off contenders to mid-table obscurity with six straight league defeats - the FA Cup provides an opportunity for this squad to take QPR into uncharted waters of an FA Cup quarter-final. In an open year, a trip to Wembley is within their grasp. "The club hasn't done too well in the FA Cup so naturally there's a buzz around the game," Smith said. "Fans can sense it's a great opportunity to get to a quarter-final. As a group of players that's our mentality, to give fans something to cheer about. It's a great opportunity to test ourselves against a team that is flying in the Premier League. A team full of fantastic players. "It's a tough fixture but with it being at Loftus Road and our momentum in the competition we can progress. "I've never been past the fifth round and the lads are chomping at the bit to do well. "It's a huge opportunity for us." When the FA Cup is in town, Smith is your man. QPR will be hoping their man can add Watford to his list of opponents he's caught cold in the cup.